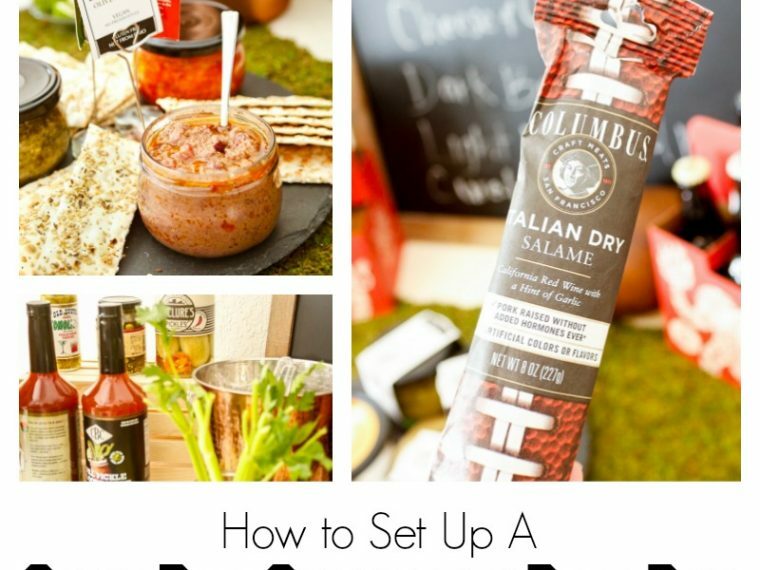 It's finally that time of year again to start gearing up for college football grillgating! 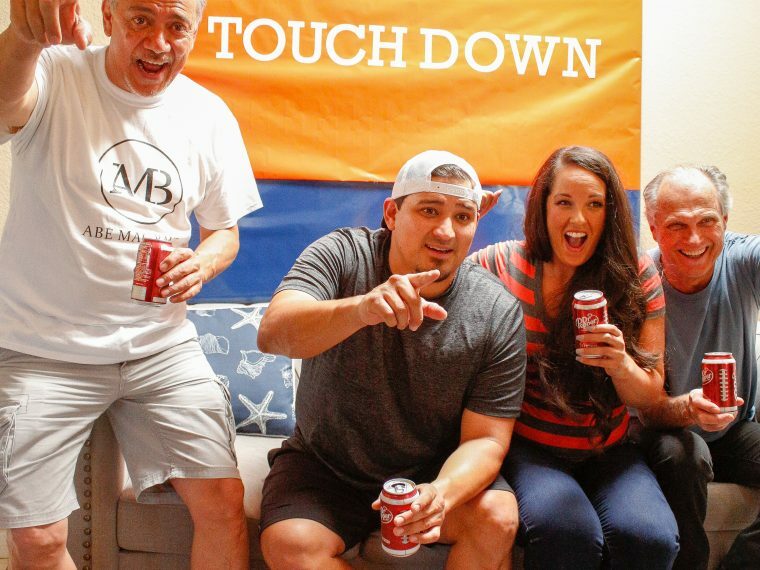 We love to party around here and my hubby actually played on our local college football team when he was in school. We went to rival universities and he still loves to tease me about how his team beat mine even though that was close to 10 years ago. 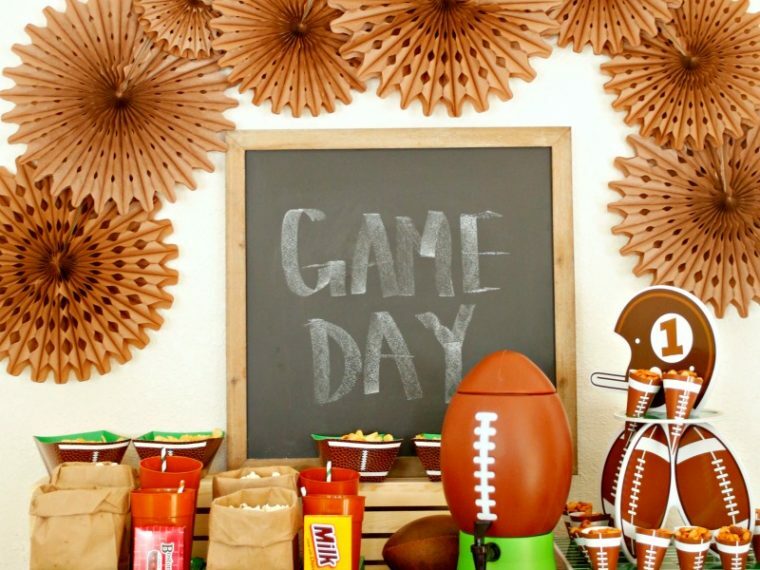 Nevertheless, we love to go to the games to tailgate. 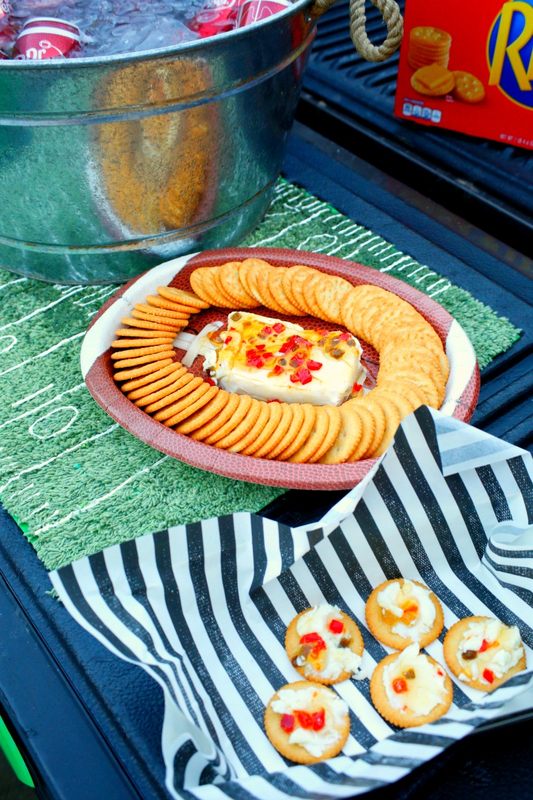 I like to treat tailgating like any other party, meaning yummy food, drinks, and décor. 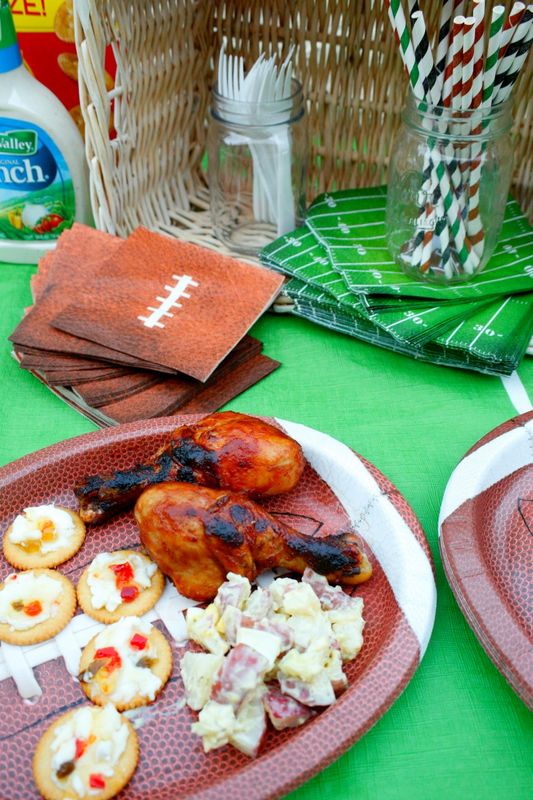 Grill-gating definitely requires the art of being prepared. Fortunately, only one trip to Walmart and I'm all set. Food? Check. 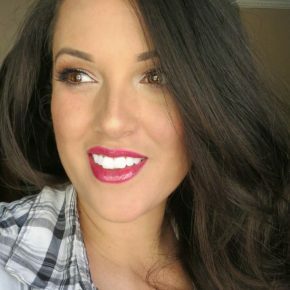 Drinks? Check. Tools and supplies? Check! 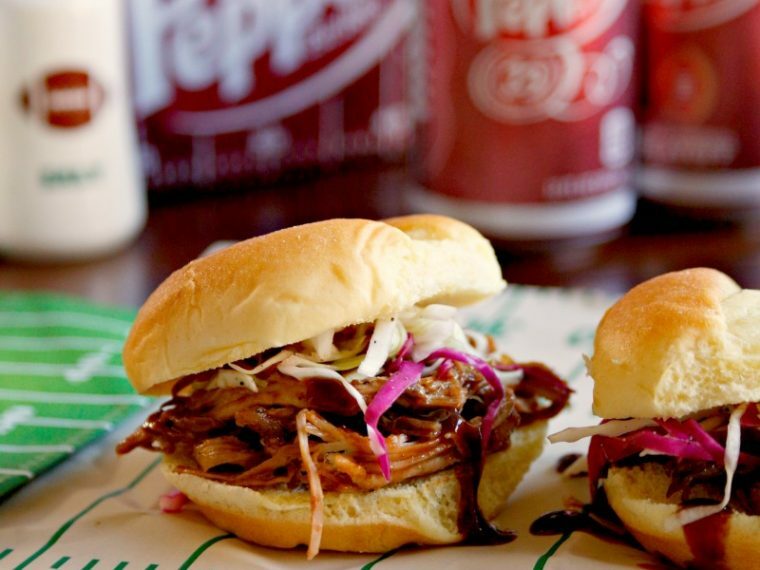 This time, I want to bring my amazing homemade Dr Pepper bbq sauce to grill with. 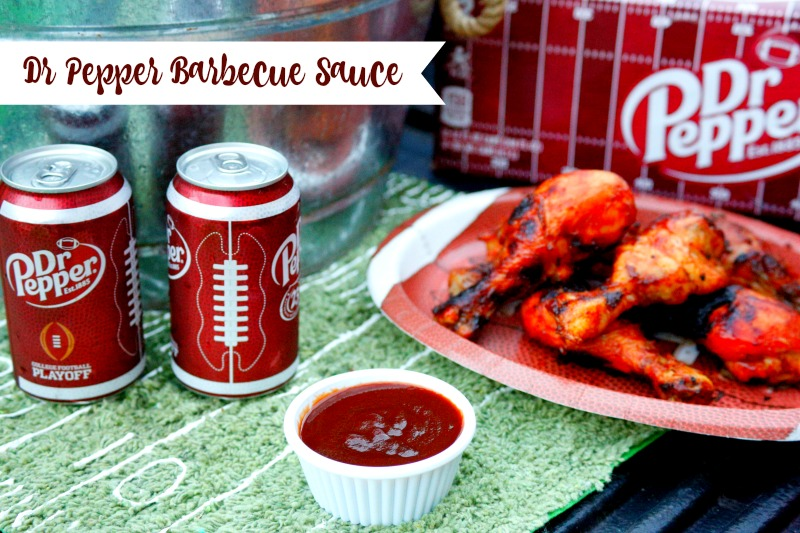 This Dr Pepper bbq sauce would definitely score a touchdown! And it's so easy to make. 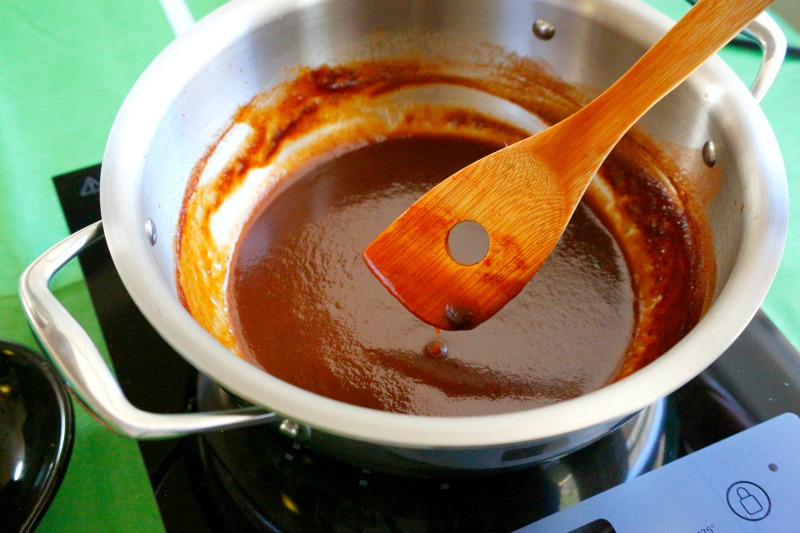 Combine tomato sauce, apple cider vinegar, brown sugar, garlic powder, Worcestershire sauce, liquid smoke and salt into a saucepan over medium heat. 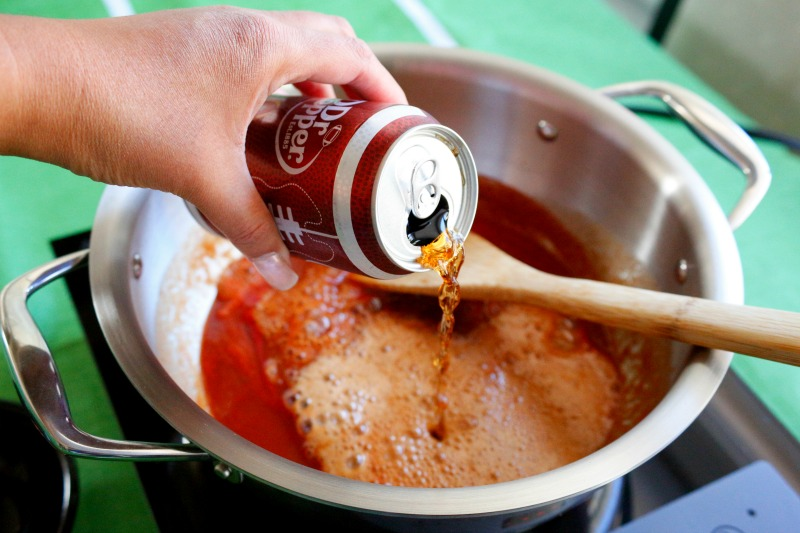 Then pour in a 12 ounce can of Dr Pepper. Bring the sauce to a simmer and allow to cook for 10-15 minutes until the sauce is nice and thick. Allow to cool and then transfer to another container. 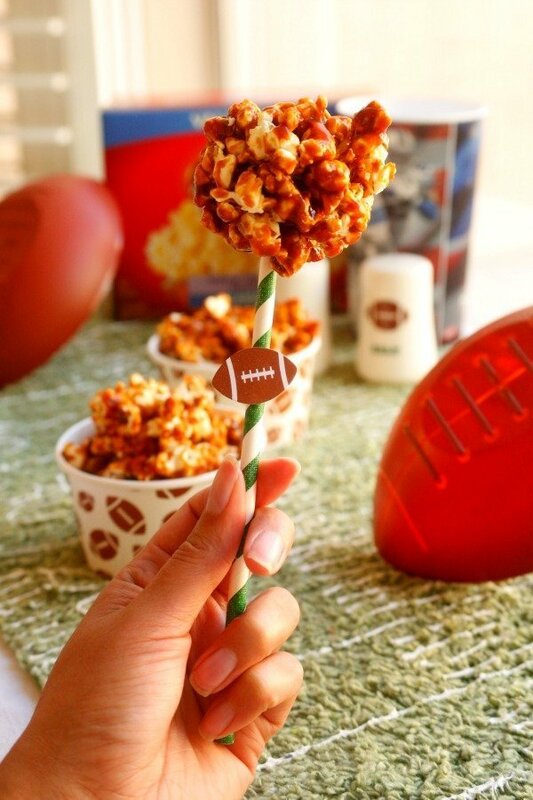 On to some other tailgating goodies. I served my red potato salad at a party two weeks ago and I had five different people ask for the recipe. I'll share it with you soon, but it's pretty basic. 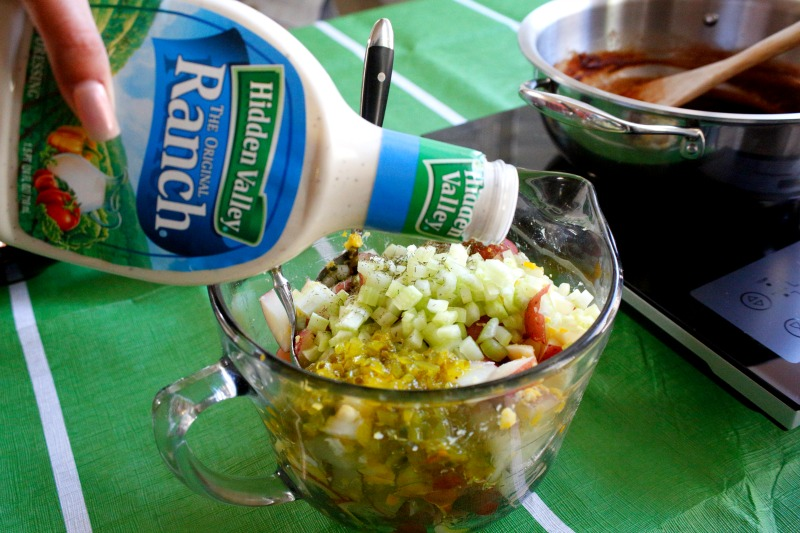 I will tell you though that my "secret" ingredient is Hidden Valley® Ranch dressing. 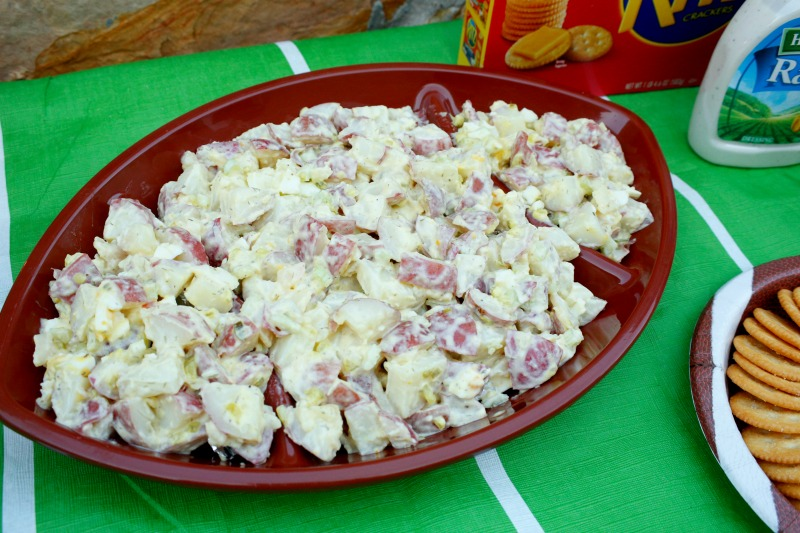 For tailgating I like to serve the potato salad in my football shaped serving dish. 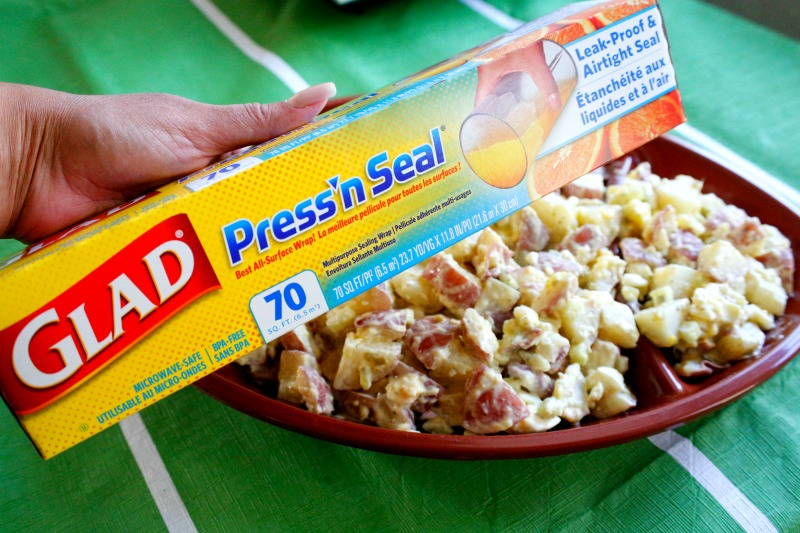 And thanks to Glad Press'n Seal®, I can transport the potato salad with confidence that it won't spill out on the way to the big game. I can actually pack all of my dishes, even paper plates with Glad Press'n Seal. It took my husband months to convince me to get a truck, but I'm glad that he did. 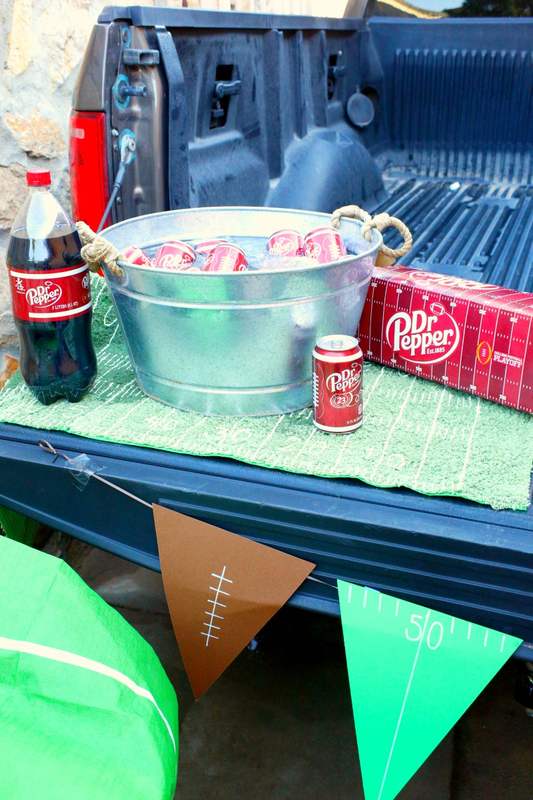 We like to set up our tailgating party on the truck bed and a folding table. Now to light up the grill! This time I brought chicken drumsticks to slather my Dr Pepper bbq sauce on even though it's delicious on almost anything. 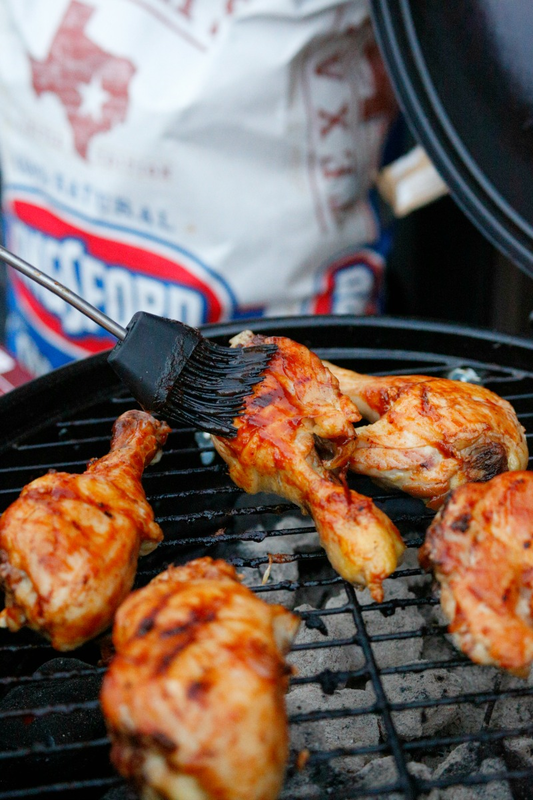 But first, I need to get my grill ready with some Kingsford® Charcoal. 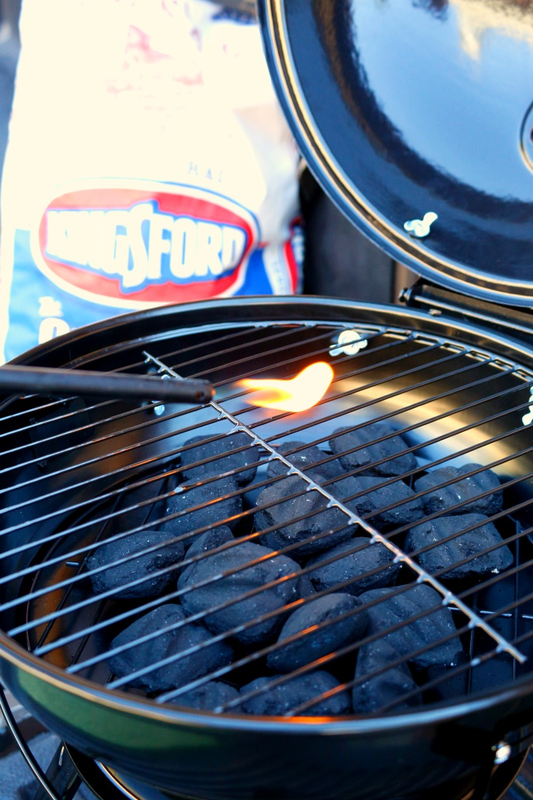 I love that smoky flavor the Kingsford® Charcoal adds to the meat. Since my sauce has quite a bit of sugar in it, I wait until the chicken is mostly done before brushing it on. 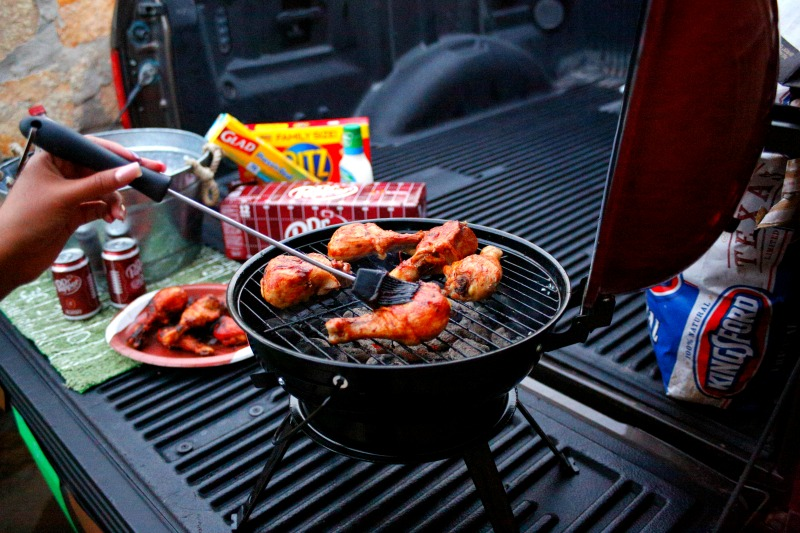 One of the things I love about tailgating, or grilling in general, is that you can eat at any time. 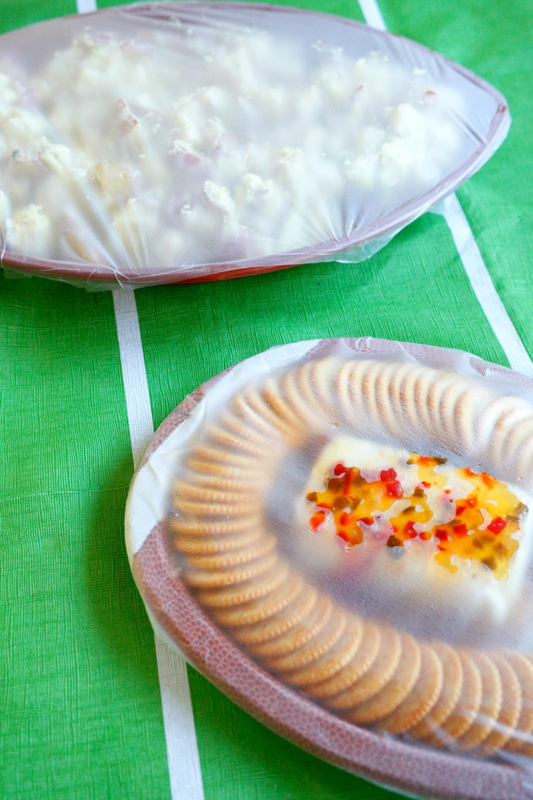 These RITZ Crackers are perfect with a block of cream cheese and jalapeno jelly. Then you can fix a plate once the chicken is done. And grab a cold Dr Pepper. I wonder which one of our schools will win this year. At least I know will have a good time before the game starts. 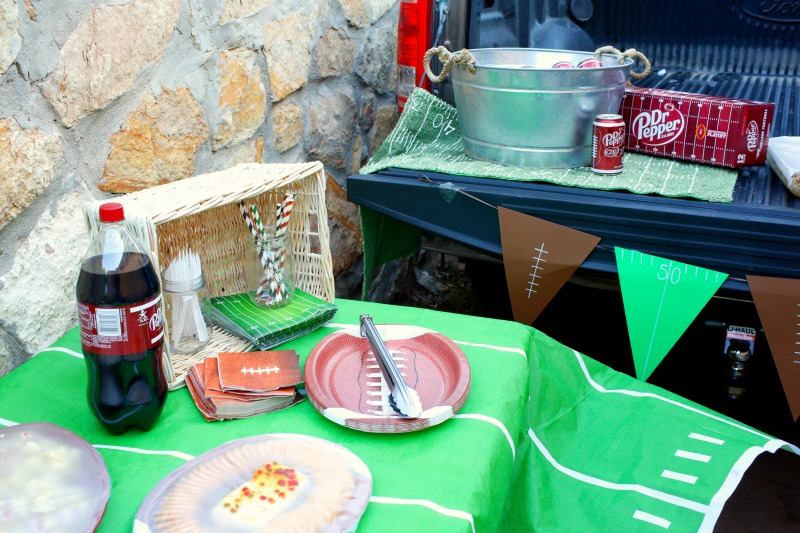 So, are you ready to get grillgating? 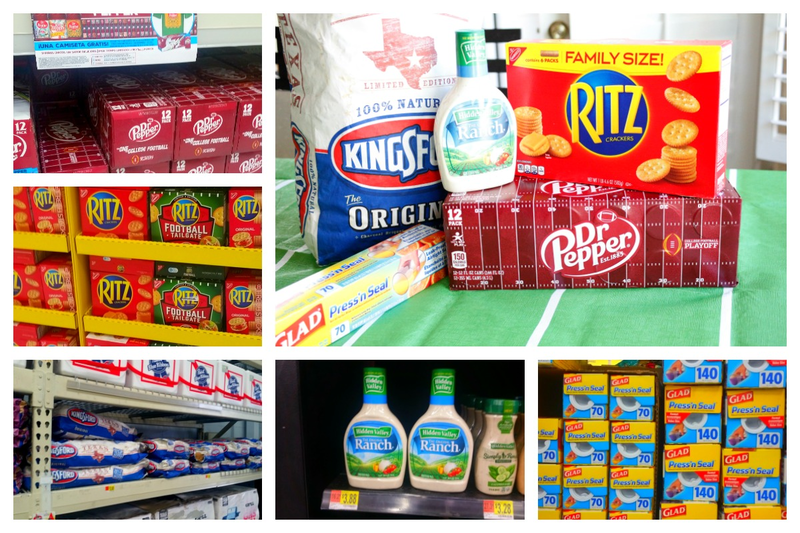 Head on out to Walmart to get all of your tailgating/grillgating essentials. Also, check out this site with a great video of Emmitt Smith where he shares grilling tips and recipes. He challenges you to share your grilling photos and experiences. Make sure to use the hashtag #GrillGatingHero on Instagram & Twitter for a chance to be featured on the Grillgating website. Combine all of the ingredient into a pot over medium heat. Allow sauce to cool before transferring to a different container. 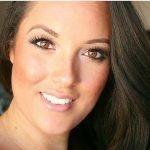 Would love to have that potato salad recipe!